Our dogs make us smile every day, but some days they really outdo themselves! This book is full of those hilarious and heartwarming stories about the many ways our canine companions surprise us, make us laugh, and touch our hearts. Chicken Soup for the Soul: I Can’t Believe My Dog Did That! will have readers saying the same thing as they read these 101 humorous and heartwarming stories about these lovable, goofy, and comical canines. Whether funny or serious, or both, this book will make readers laugh and touch their hearts. 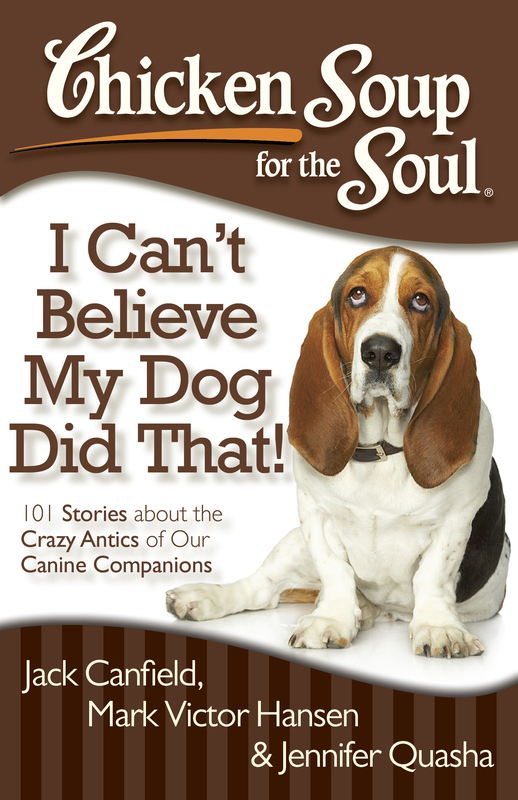 Book Cover Image (jpg): Chicken Soup for the Soul: I Can't Believe My Dog Did That!